I have officially studied student voice work for the past five years. Prior to my entrance in the world as an education researcher, I engaged in youth-adult governance work as a practitioner for another five (See Brasof, 2009; Brasof, 2011; and Brasof & National Constitution Center, 2012). There was a serious difference between the two experiences: As a researcher it was not difficult to locate student voice studies about the perspectives, solutions, and actions of youth during school change processes. The latter experiences illustrated that there was a serious gap between theory and practice. I began to understand that this divide was not due to the lack of information available—student voice scholarship from around the world (mostly Western though) has deeply examined the values, beliefs, processes, and range of outcomes of youth-adult leadership in traditional and non-traditional educational settings. No, the gap could be more located with the lack of training in youth-adult leadership principles and practices in educational leadership circles. See, I have a degree and now teach in an educational leadership doctoral program. As an administrative student training in concepts such as shared and distributed leadership, there was no official mention of the inclusion of students in school change processes despite the fact that such ideas espoused the spreading of responsibility and authority to more members of a school’s community. Furthermore, few educational leadership studies actual examine student leadership. 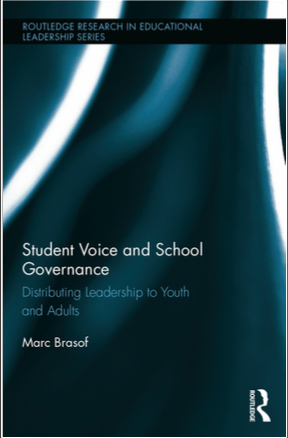 When studying student voice for my dissertation research on school governance, I was only able to locate one distributed leadership study including students perspective, ideas, and actions. And, that study examined student activity and perspectives through questionnaire (Day, Sammons, Hopkins, Harris, Leithwood, Gu, Penlington, Mehta, & Kington, 2007), rather than digging deeper into the whys and hows. How could current and future school leaders value and practice youth-adult leadership if they lack exposure? Student voice scholarship illustrates frustration with the lack of youth involvement in school change processes. Most articles illustrate the trials and tribulations of practitioners’ and scholars’ attempts, highlighting a host of reasons for their exclusion: established school cultures that misunderstand the purpose and process of youth-adult leadership practices, relentless focus on achieving student outcomes measured almost singularly by high-stakes literacy and numeracy exams, and budgets and school schedules that defund and devalue youth leadership activity. Though not an exhaustive list, it represents much of the challenges. The student voice audience, whom often are scholars and one or two classroom instructors within a school, do not need further convincing; educational leaders at the school, district, and policy levels need to be engaged. This is why I wrote Student Voice and School Governance: Distributing Leadership to Youth and Adults (2015). Whereas student voice scholars and practitioners will find Student Voice and School Governance: Distributing Leadership to Youth and Adults useful because of the ways in which I frame and organize an important case study on a robust and unique youth-adult leadership model—I leverage the principles of distributed leadership and organizational learning—this work was written more for the educational leadership field. Issues within the field of distributed leadership are (re)exposed and a discussion on how democratic and student voice leadership practices can theoretically address the criticisms aimed at distributed leadership theory and practice. Furthermore, I thought that including an extensive literature review defining and justifying student leadership was necessary. As mentioned, administrative leadership programs and studies often lack this strand. I then take readers through a method for studying student leadership that can uncover how youth can trigger organizational learning/change. A highly descriptive ethnographic structure provides readers with multi-chapter narrative highlighting the evolution of youth-adult leadership practices. Particular attention was paid to modeling how student voice and educational leadership scholars and practitioners could use distributed leadership and organizational learning concepts to understand youth-adult leadership. Final discussions then center on the values and behaviors of influential adults and youth and civics course of study that encouraged student leadership capacity building. Ultimately, I believe engaging the field of educational leadership will help to better address student voice hurdles. I and many others are trying to do our part—we teach about the efficacy of student voice and work directly with schools interested in including young people into school change processes. But as you can imagine, this is a slow process. What if student voice advocates focused their energies in writing and working in the field of distributed leadership? 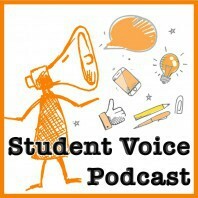 It is in this arena that I believe student voice has the ability to thrive. 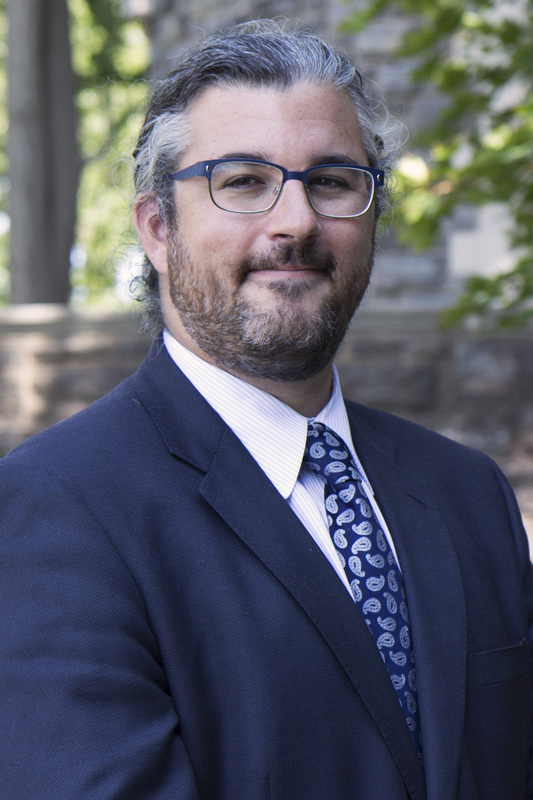 Dr. Marc Brasof is an Assistant Professor of Education at Arcadia University’s School of Education and the National Constitution Center’s Education Fellow. You can follow his Twitter account @Brasof or learn more about his work here.